Howdy. We got a fresh coat of paint and some new things running under the hood. First, our new look lets us be more flexible with content and make sure the best student work is featured in beautiful style and ease of use. 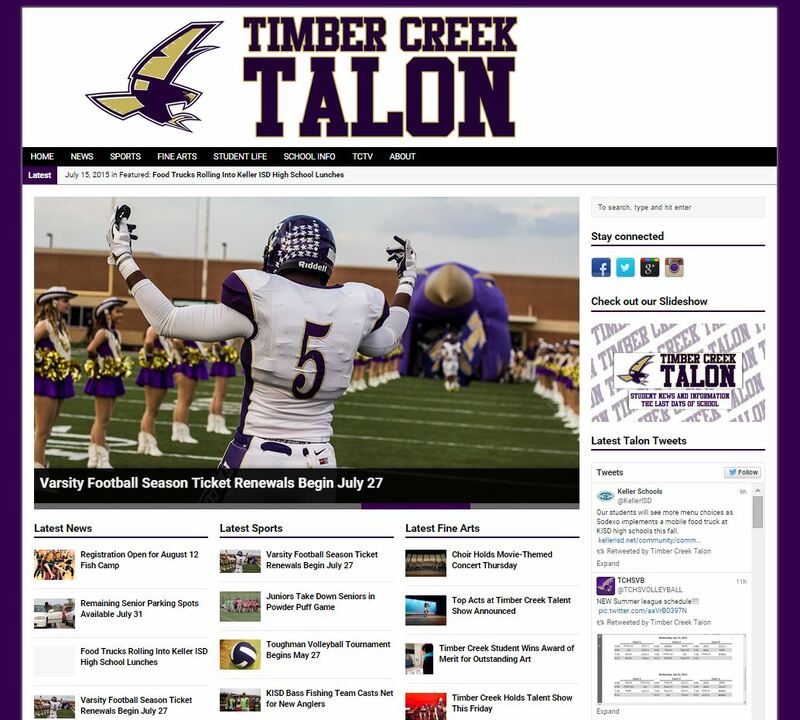 This new layout shows off the amazing images taken by our great Yearbook photographers and will help show off some great new Talon-created visuals as well. Additionally, there’s some much needed flexibility underneath the hood for our student reporters and editors to make swift, striking changes when we need to. It’s also a precursor to something super cool you’ll hear more about before August. Finally, we’re constantly working to improve things, so if you see things you like (or don’t like, even), send us an e-mail and let us know what needs adjusting. We’ll be back with more updates, soon.